Formal churches may be dying out, but people want Jesus. They want Him badly. 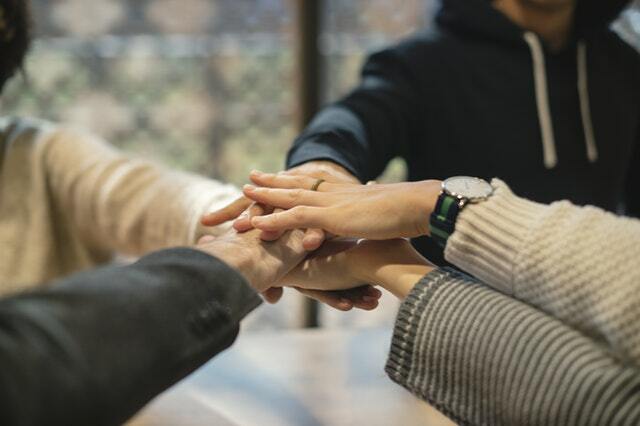 God is still active, and the opportunity to cooperate with Him in the workplace is so strong that my heart twists painfully whenever I hear of yet another denominationally-centered business. Some denominations use their unique strengths to build empires for their exclusive benefit, whether it’s financial institutions, insurance, technology services, education, or medical care. This is on the rise, partly because many of the world’s systems are failing. When you have a group of honest, hard-working, frugal people, it’s easy to come up with systems that are superior in every way. However, I believe this comes at a price that can’t be measured in dollars and cents. The increase of denominationally exclusive services is happening at the same time that God is moving in new ways in the workplace. The irony does not escape me. The example I gave yesterday described an interaction in a Dollar General store. You might be thinking, “anyone can still go to Dollar General even if they have their own financial institution.” That is true. I used that story because it didn’t violate any privacy policies that affect so many stories that could be told. You can still be part of the marketplace while being distinctly separate in some ways. But the separation helps feed a sense of superiority that makes me uncomfortable. It’s one thing to be the generous rich man giving to the poor, and quite another thing to work alongside other working-class people. Because of this, I feel a great hesitation about strengthening the Us/Them division through business. Yes, we love having businesses we can trust with our money. But when any denomination functions in a closed business loop (providing services only for themselves) they shut off the chance for daily interaction with people who need the Gospel. This is not to say that exclusive organizations/businesses are completely wrong. God has varied ways of working, and I can’t claim to know them all. Some people feel they can walk a line where they can both contribute to a closed loop and offer services that reach a wider world. But our energy is limited, and when a socioeconomic structure is such that it weeds out the undesirables, red flags go up in my mind. Do we really want to keep out the people for whom Christ died? Do we want to step out of the one place where people consistently are, the business world, where we might be salt and light to a needy world? I can already hear the outcry of protest from those who have worked hard and invested much in these ventures. I’ve heard all the reasons many times. I’m not saying they are totally wrong, and I’m not asking anyone to agree with me. I’m simply asking people to stop and think. Perhaps God’s call for many Christians is to go into the worldly marketplace with compassion and care, taking Christ’s love into our daily spheres of influence even if it hurts our bank account or our pride. The businessman may have to make a microloan that might never be repaid. The electrician may have to set aside his tools for an hour to listen to someone who needs to talk. The housewife may have to accept free help from a poor neighbor, because that neighbor needs dignity, too. I believe the marketplace is one of the greatest open mission fields in America today. God is at work, and we can decide to partner with Him in the beautiful task of bringing the good news of Jesus. People might not show up in church, but God is not defeated. He is sending His church into the world. I’m sad that you feel the need to defend your idea or that you expect people to disagree with this. I agree with what you’re saying. I’m not a business owner, and right now I feel called to work in a pretty homogeneous Menn. bubble. Mirroring Jesus to people there is still valuable and needed. My little step toward interaction in the market place has been to refuse self-check-out lanes so I can interact with clerks. I’ve had some pretty discouraging conversations. 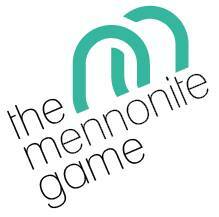 Most people seem to think a Mennonite business bubble is a good thing. But on the bright side, I discussed some of my ideas with a businessman a while ago and he made me feel truly heard, whether or not he fully agreed. Yes, sometimes we are called to work within a bubble, and I know you are doing it well! I love how you are also using shopping as a way to connect with the world. May you feel the warmth of God’s presence within you throughout all your encounters! Oh, Rosina, I so agree with you. Not only do I have opportunities to give love to people in the workplace, but I am also so much richer for knowing people different from myself. Knowing people from a variety of backgrounds brings such clarity and perspective to my own life and gives depth to my continued studies on the teachings of Christ. It’s worth the financial loss to mingle with the broader culture instead of isolating ourselves in our own denomination. You’re so right, this is not just a one-way street. I have learned so much from my community, and they’ve loved and accepted me in ways that have humbled and convicted me. I bless you for your love and faithfulness, and may God continue to show you His precious truths in the pages of Scripture!